The Flowr Corporation (TSX.V: FLWR) (OTC: FLWPF), a Health Canada Licensed Producer (LP) of cannabis under the Access to Cannabis for Medical Purposes Regulations (ACMPR), is an emerging Canadian cannabis leader founded by Medreleaf co-founder Tom Flow and a team of industry pioneers, successful start-up executives and top industry scientists. Flowr’s purpose-built cultivation facilities may be the most advanced in the industry, consistently generating high crop yields, delivering premium and ultra-premium cannabis products, and maximizing return on investment. 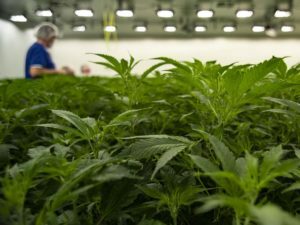 The company also may be an R&D leader as it was selected by the Hawthorne Gardening Division of The Scotts Miracle-Gro Company as its exclusive Canadian cannabis R&D partner. 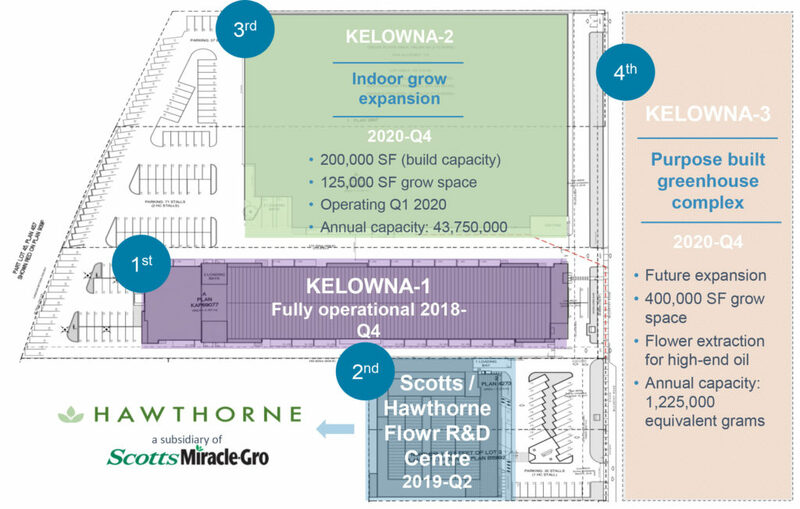 Flowr’s flagship facility, an 84,000-square-foot campus on seven acres in Kelowna, British Columbia, is engineered to grow premium cannabis in rooms that meet pharmaceutical industry production standards for cleanliness. This, along with exacting protocols designed by the Flowr team, enables Flowr to grow cannabis that meets Health Canada’s stringent standards without treating it with the taste- and smell-killing gamma irradiation that most other producers have to use to clean their product. 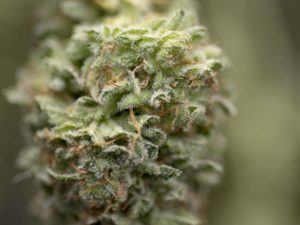 Irradiating the plant – a process similar to pasteurizing food – impairs many of the important terpenes that provide the positive effects, flavors and scents of cannabis while strengthening unpleasant terpenes. Flowr’s products may deliver a better user experience, thus commanding premium prices. Flowr’s cultivation facilities, built with proprietary, patent-pending systems, are designed to deliver yields targeted at 450 grams per square foot by the end of 2022, which is three times more efficient than the industry average of approximately 150 grams per square foot. By optimizing yield, the Company may produce significantly more cannabis flower on a smaller footprint than other producers, thus generating far high revenue per square foot and keeping costs much lower, leading to higher margins. The Kelowna facility is presently 20 percent operational with the remaining 80 percent slated to come online by early 2019. 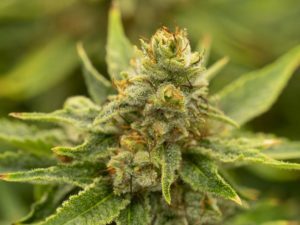 It is expected to produce up to 14,000 kg of premium, non-irradiated cannabis flower in 2019. With further enhanced yields and planned expansion of production facilities on the campus, Flowr will reach a total capacity of 60,000 kg annually in 2022. Leading Flowr’s cultivation program is industry pioneer, company co-founder and Flowr president Tom Flow. Flow is widely recognized for his cannabis thought leadership and expertise building and operating cannabis cultivation facilities. Flow also co-founded MedReleaf and designed, built and set up SOPs for their flagship Marcum cultivation facility. Marcum has continued to be perhaps the most productive facility in the country prior to the Flowr flagship facility. Long one of Canada’s most efficient and profitable LPs, MedReleaf was acquired by Aurora for approximately C$3 billion. Flow and his team have designed and built a total of 17 cultivation facilities and secured three producer’s licenses under various Canadian regulatory regimes. In March 2018, Flowr and the Hawthorne Gardening Division of The Scotts Miracle-Gro Company – a world leader in lawn and garden products – announced an exclusive strategic R&D alliance. After evaluating numerous Canadian LPs, Hawthorne chose to partner with Flowr based on the experience and expertise of the company’s cultivation and R&D teams and the company’s advanced growing capabilities. 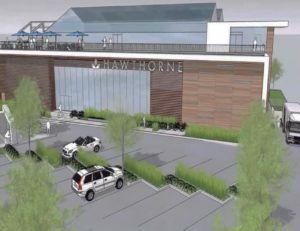 Hawthorne will fund the construction of a 50,000-square-foot R&D facility that is integrated into Flowr’s Kelowna campus. This facility is North America’s first dedicated cannabis R&D facility focused on advancing cultivation techniques and systems. The facility will support researchers from both organizations and combine laboratories, indoor and greenhouse grow suites, training areas and genetics breeding areas in a single building. It is expected to open in early 2019. In addition to helping Flowr maintain its competitive advantage in cultivation, the company’s R&D program will keep it on the cutting edge of cannabis innovation. FlowrRx, featuring premium quality medicinal cannabis that enables patients to live better, fuller lives. A dedicated Client Services team will provide patients with personalized support while an R&D team develops innovative flower strains and premium products targeted to specific conditions. Patient well-being is considered at every stage of the process – from genetic selection to harvest, trimming and curing techniques. FlowrRx and its team of passionate scientists and leading cultivation specialists are dedicated to advancing the scientific understanding of cannabis. Flowr is the company’s premium recreational adult-use brand featuring an active, West Coast-inspired lifestyle for the cannabis connoisseur and enthusiast market. Through the continuous innovation of procedures and practices, Flowr’s talented team of experts is crafting premium products that deliver unparalleled experiences. Ace Valley, an exclusive partnership with top-selling Ontario craft beer company Ace Hill, will bring Flowr’s premium product to the millennial and casual adult-use markets under the Ace Valley brand. Flowr recently signed a Memorandum of Understanding with the British Columbia Liquor Distribution Branch, the province’s sole legal wholesaler of non-medical cannabis, to supply premium and ultra-premium flower to the province’s retail outlets. The company has agreements with several major medical distributors and is in discussions about retail distribution with additional provinces where it believes it can obtain prices commensurate with the quality of the Flowr products. The company is also evaluating other market opportunities including export. Flowr is poised to become the pre-eminent indoor premium cannabis grower in Canada and one of the country’s top five LPs. The company’s focus on yield, quality and price point and its team’s ability to grow at scale should drive high margins, significant growth and strong return on investment. Targeting medical and adult-use markets, all with a focus on high margin, premium cannabis to drive top and bottom line growth.